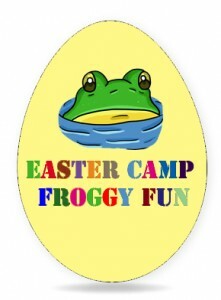 The Bog of Allen Nature Centre will be holding its Easter Froggy Fun Camp on Wednesday the 27th March between 10am—1pm. This nature camp is fully supervised and packed with Things to Do. The camp will give Kildare Kids a great opportunity to get outside and explore the outdoor environment. The camp will include a pond dipping session for mini-beasts such as the great diving beetle and water boatman. There will be a frog and newt search in the wildlife gardens as well as a visit to the greenhouse to discover insect eating plants. The activities will also include an arts and crafts session to make paper easter egg bunting for children to decorate their homes and to finish an easter egg hunt in the wildlife gardens. This camp is very popular and booking is essential by calling 045-860133 or e-mailing bogs@ipcc.ie. 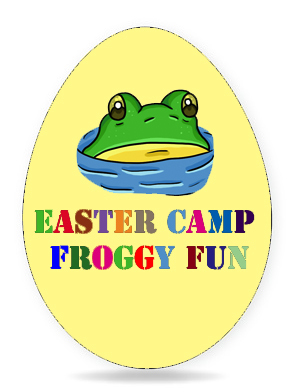 The cost is €15 for the first child and €10 for each additional child in your group that you book on the camp. This entry was posted in News and tagged Activities, Attraction, Events, Kids, Places to Go, Things to Do, visitor. Bookmark the permalink.